Transportation, check. Like Dorothy, finding out she had the way to get home all along, just click your heels together three times and wish. There, now we’re all done. Because that’s all it takes to get a student with a severe disability from home to school and back, safely and on time. Check a box, and it’s done. Right? The IDEA and its implementing regulations continue to address the transportation needs of children with disabilities. Transportation is a related service as defined by 34 CFR §300.34(c)(16) of the IDEA regulations and can include travel to and from school and between schools; travel in and around school buildings; and specialized equipment such as specially modified vans, buses, lifts, and ramps. A child’s individualized education program (IEP) team is responsible for determining both if transportation is required to assist a child with a disability to benefit from special education and related services, and how the transportation services should be implemented. Nonetheless, IEP teams seldom treat transportation as anything more than an afterthought, unless and until serious problems arise. Even then, they tend to push the solutions to those problems back on the transportation provider, rather than addressing it as an IEP team matter. The problematic issues presented in transporting a variety of students with a range of disabilities and challenges aren’t new to me. I once had to buy a decibel meter and send it in my son’s backpack with a notebook for him to record the dangerous sound levels of the nonstop, or the banshee-like wails of another student during the 44-minute bus trip home. Not until I turned over the log and pointed out that the bus driver was being subjected to sound levels that exceeded the California Occupational Safety and Health Administration standards for noise exposure, did the district agree to address the problem. These days, I regularly encounter resistance and resentment when I insist on extending or continuing IEP meetings to hammer out the critical details of transportation services. Getting district administrators and IEP team members to recognize that transportation services are an integral part of the IEP, and deserving of the same level of consideration as school and classroom issues, can be challenging. So, what do you, the student transportation professional, do? I mean this figuratively, as someone who attends IEPs for a living, I wouldn’t wish direct participation in those frustrating, soul-crushing meetings on my worst enemy. But, by providing documentary materials to be included in the IEP itself, and discussed at the meeting, you can have your “seat” at the table. If you’ve adequately documented your issues and concerns, if the IEP team fails to address them, they can’t point the finger back at you when things go south. If a student needs specialized supports and services to be successful in the classroom, it’s likely they need similar services and supports during transport. Whether they are nurse services for medications or medical devices, sensory accommodations, or behavioral supports, if it’s required in the classroom, then the IEP should include a specific line allotting time (commonly categorized as either direct or consultation minutes/hours) and assigning responsibility for those services during transport. Typical needs might consist of a one-on-one aide, child safety restraint systems, sound protection, communication devices, a positive behavior reward system, occupational therapy services, a sensory toolkit and more. This isn’t a one-way street (note the clever transportation metaphor). Sure, the IEP team can provide services and supports for transportation needs. But, transportation can provide incredible real-world opportunities for student growth and development. Having specific transportation-related goals and objectives as part of the IEP can offer tangible benefits to both student and driver. Learning to safely enter and exit a bus, or recognize and identify street signs (particularly those warning of hazards), will mean a lot more for a kid in the long run than completing a three-paragraph essay on Pocahontas with 80 percent accuracy. See the National Information Center for Children and Youth with Disabilities publication on “Travel Training for Youth with Disabilities,” or the Easter Seals “Competencies for the Practice of Travel Instruction and Travel Training,” for specific ideas on transportation-related goals and objectives which can be incorporated into IEPs. Ignorance is bliss, and district administrators will seldom seek out problems. If they can deny knowledge, they can deny responsibility. It’s up to you to provide written documentation of concerns and challenges presented during the transportation of a particular student. Effectively communicating your concerns, and assuring they are considered and addressed as part of the IEP process, is a two-part process, and it’s up to you. 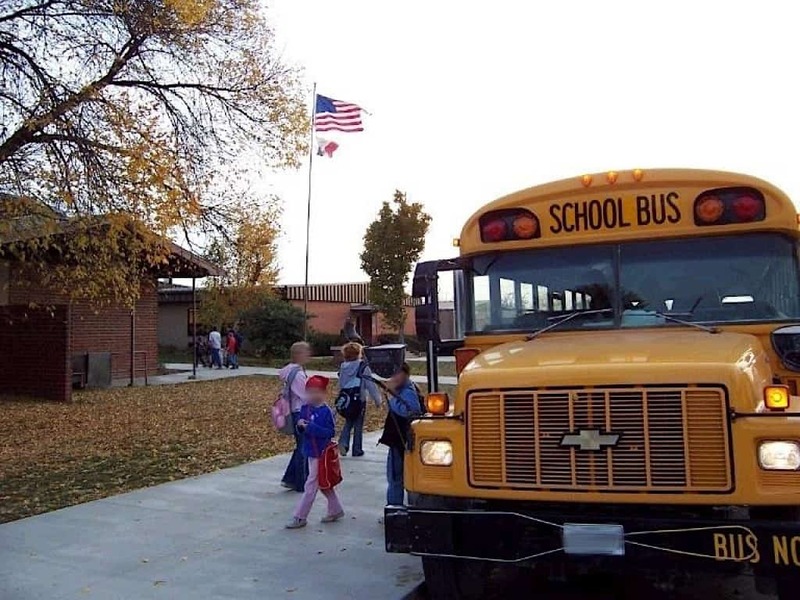 Measurement is vital to progress, so concerns need to be specific (i.e., student exits seat during transport an average of three times per 30-minute trip) and measurable. Additionally, feedback during the year will be required to determine whether there has been progress on those goals. It’s not a one-and-done process. You need to be prepared to clearly define your challenges, define specific measurable objectives, and provide regular feedback on progress. Cases, whether in the courtroom or the classroom, are built on evidence. Saying something happens every day is meaningless, and will be discounted and ignored. But, drop a stack of incident reports on the table, or play a disturbing video for the entire IEP team, and administrators will start to squirm on the hot seat. If you want action, build your case. And, the only practical way to build a case is by documenting the problem so effectively, it can’t be ignored or denied. It’s often quoted that “80 percent of life is just showing up.” If that’s true, then transportation is arguably the most important component of any IEP, and most definitely not an afterthought, or simply a “related service.” A student who doesn’t make it to school isn’t available to access their education. No amount of in-school services, supports or accommodations can make up for not getting to school safely, on-time, emotionally regulated and ready to learn. Your service is the very foundation that all the school’s plans and dreams are built on. Don’t be afraid of acting like you are an important part of the team—you are. ________________________________________________________________________ James Sibley is a retired criminal prosecutor with over 25 years trial experience. He currently serves as the lead litigator for Tollner Law Offices, Northern California’s largest student-side special education and disability rights law firm. He also has a 22-year-old son with autism who, for many years, relied on the school bus for transport. Sibley also publishes the blog “Surviving Special Education.” In it, he chronicles his personal experiences as a parent and an attorney in dealing with school districts, regional centers and insurance companies, to protect the rights of disabled children.